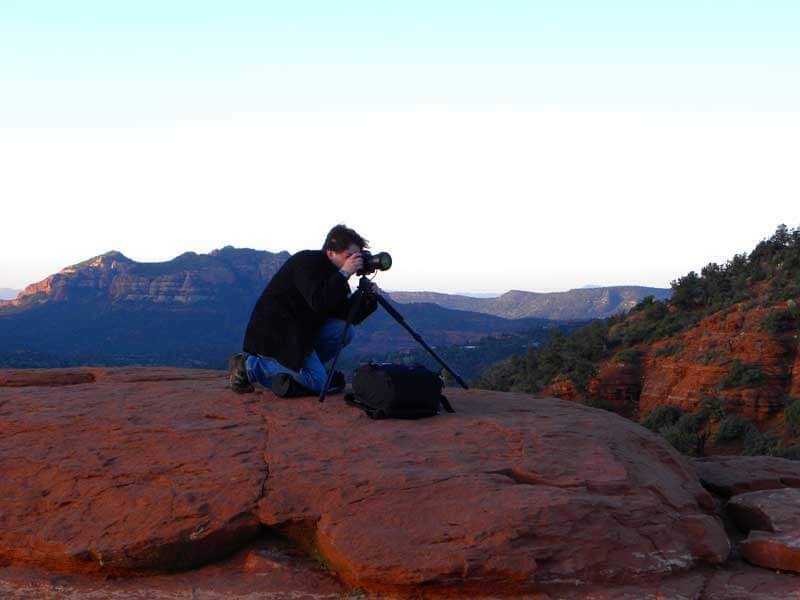 If photography is your passion, our Sedona Photography Tour is for you. Sedona has been voted “The Most Beautiful Place in America” and it’s replete with magnificent vistas, stunning colors, and jaw dropping natural landmarks everywhere you turn. The Sedona Red Rock Photography tour will be a memorable journey for you with award winning photo ops in all 360 degrees. This is a private tour, so you can go at your own pace. Our guides will help select sites that will provide the photo op you are looking for. Sedona abounds with fabulous vistas and beautiful micro views of plants and flowers, rocks and more. There are a myriad of sites to visit: Red Rock Crossing, the most photographed foreground for transcendent Cathedral Rock, Back O’ Beyond, Bell Rock and Courthouse Butte, Airport Vortex. Each location you can look down over the greater expanse of Sedona, Chimney Rock, the Buddhist Amitabha Stupa, Medicine Wheels found throughout the area, and so much more. Our guides are experienced in photographing Sedona and they know where the money shots are! It’s best to go early in the morning or late afternoon for optimal lighting. Awesome experience! We booked a two-hour tour to see Sedona and take photos and finished the tour wanting more! Akal was an absolutely wonderful guide as well as a delightful person… he has truly embraced the area and showed us many gorgeous spots for photographs. Bring your walking shoes and camera. He is very kind and knowledgeable and I can’t recommend him highly enough! You will NOT be disappointed! –Susan B. Try our special for the very best light and photo ops.